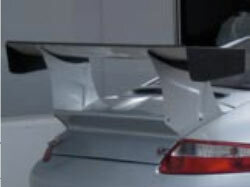 New for 997 Turbo. 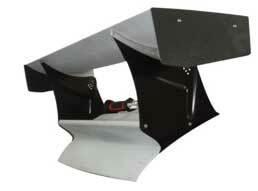 A direct bolt on wing and decklid assembly for converting street turbos to track cars. 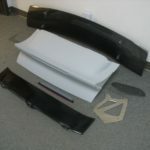 Includes specially ducted race decklid, top wing, and aluminum uprights. 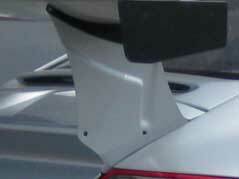 A specially ducted turbo race decklid. 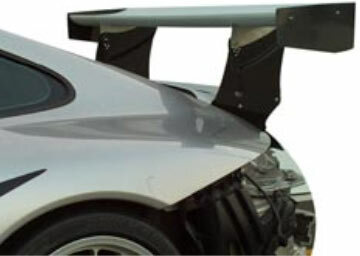 A 997 58” top wing and end plates. 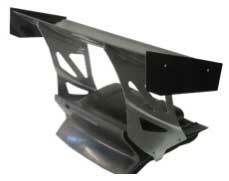 Motorsports stamped aluminum wing uprights. 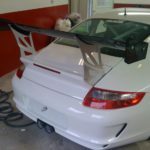 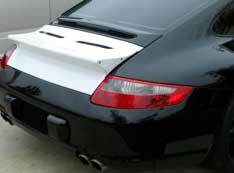 A 997 cup car wing and decklid assembly for converting street 997s for track use. 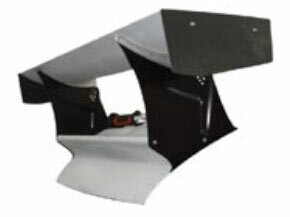 Includes a model specific decklid that retains use of the stock intake, fan, and latch, as well as aluminum uprights, 58″ wing, and endplates. 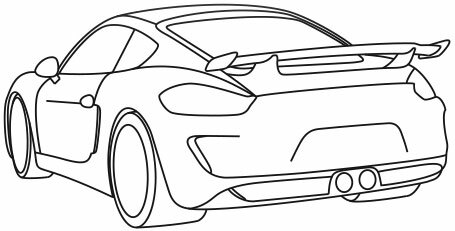 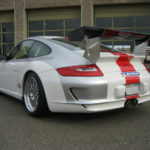 Specify engine type: Spec I, Spec II, or GT3. 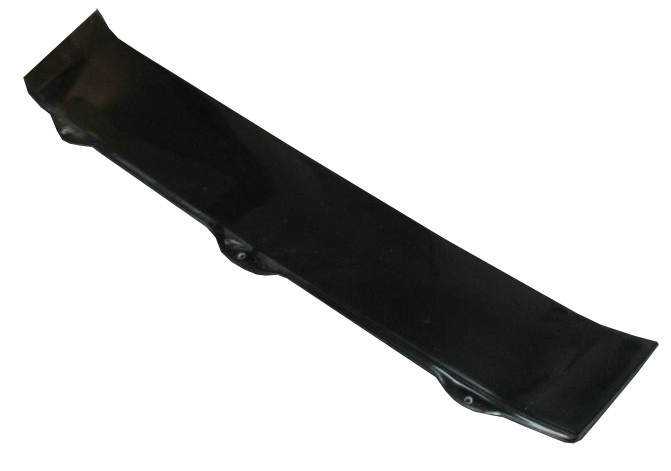 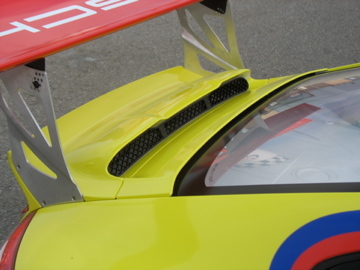 Identical to the race decklid on the outside but the liner has provisions for a rear latch instead of pins and mounting for the fan and stock air cleaner opening. 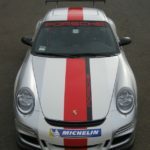 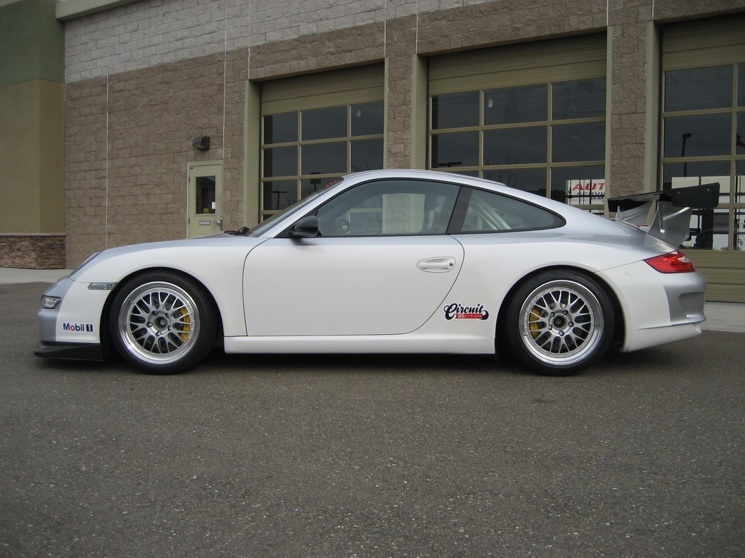 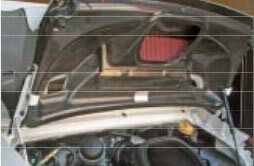 Specify stock 997 (Spec I or Spec II) or GT3 liner. 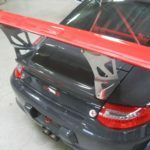 997 58” top wing and end plates. 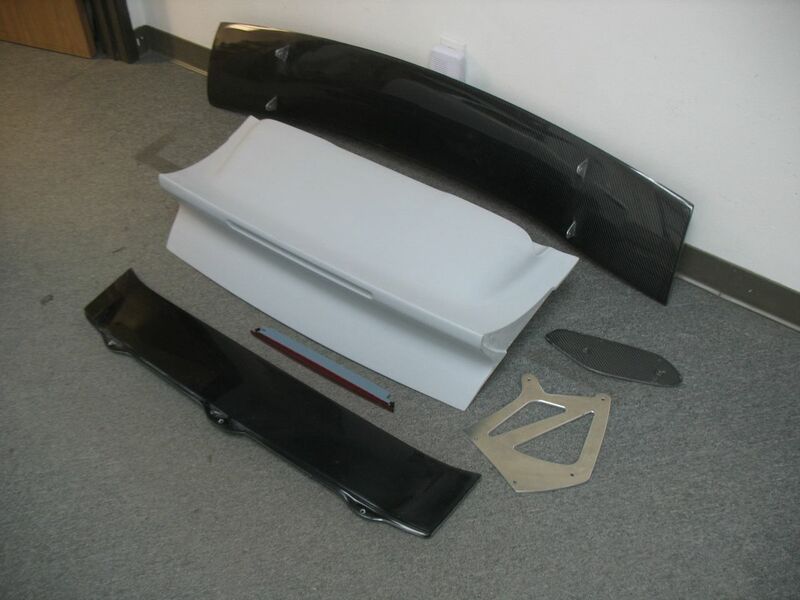 Complete assembly consists of decklid, aluminum uprights, 58″ wing, and end plates. 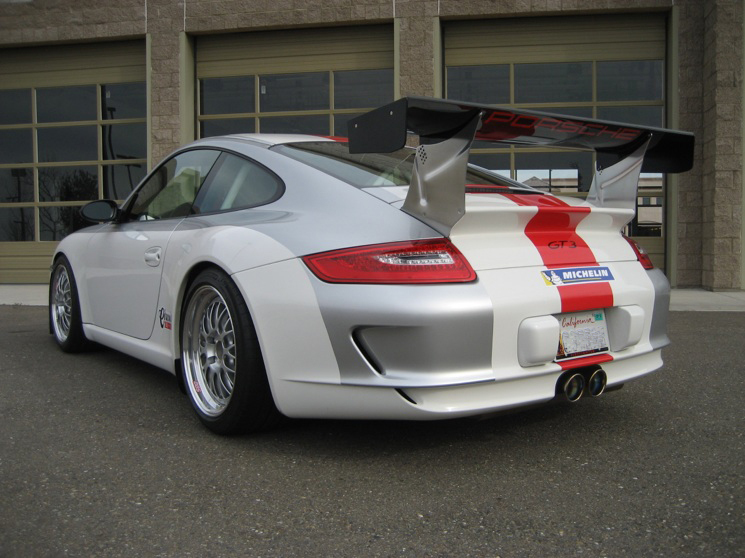 A special racing style decklid for 997. 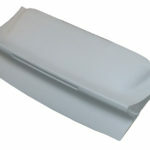 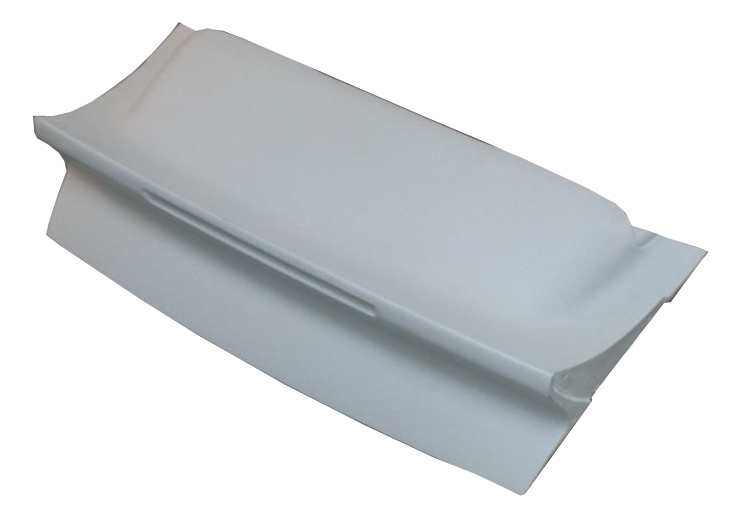 Liner is designed to accept slide-in filter. 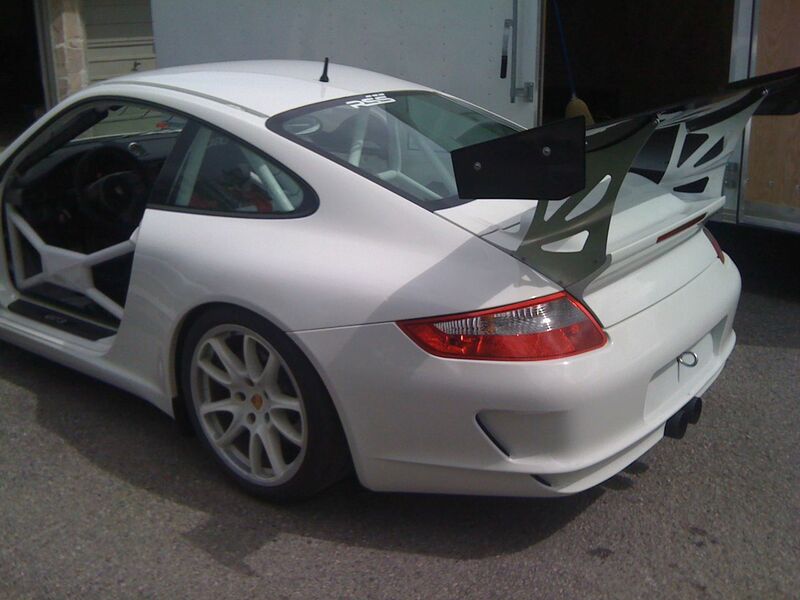 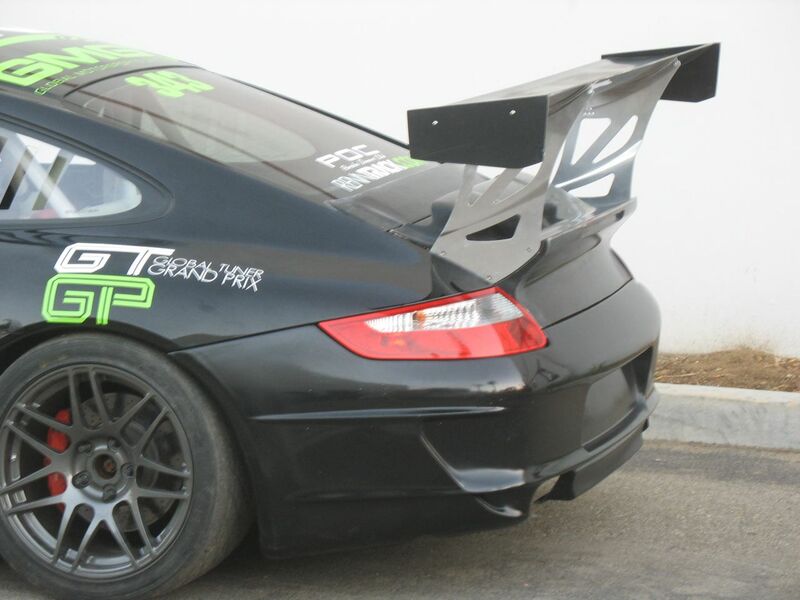 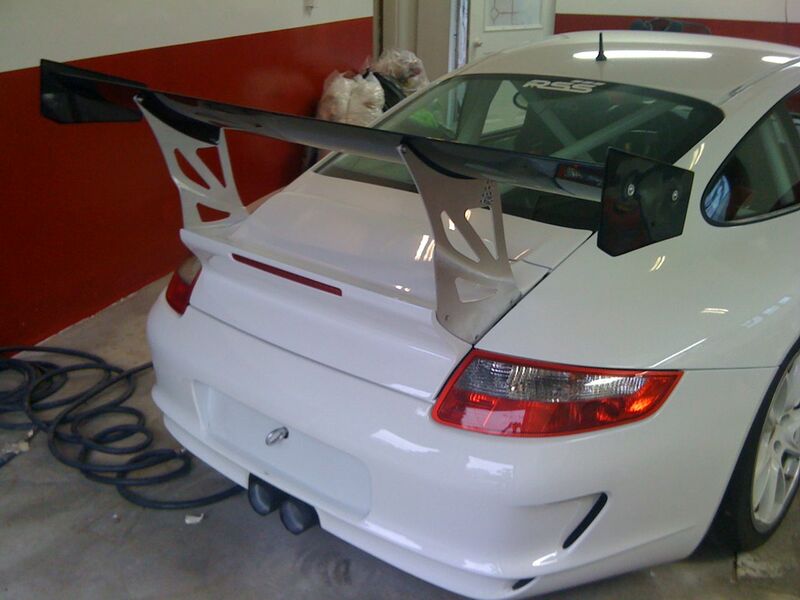 997 58″ top wing. 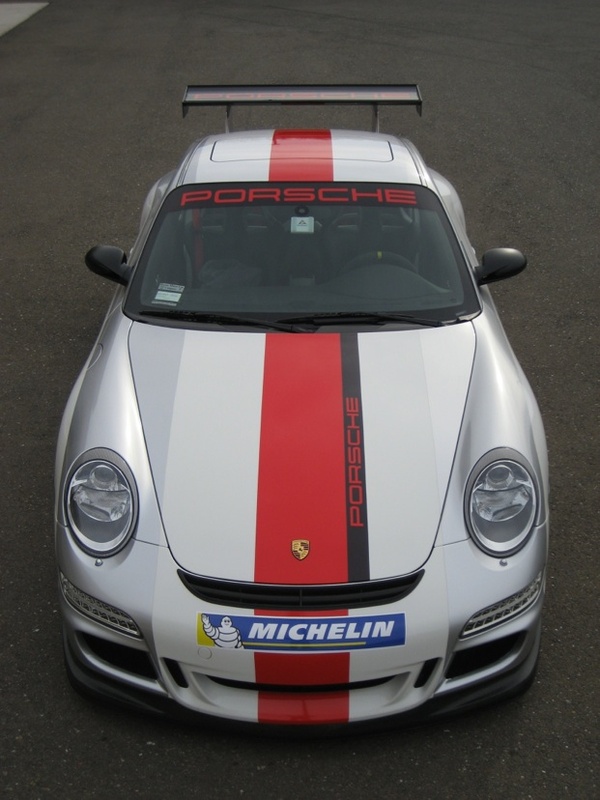 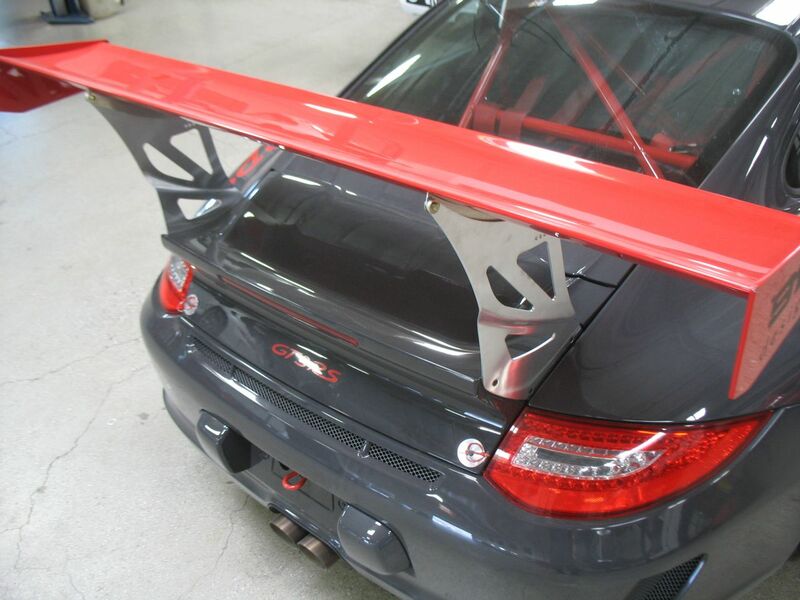 Similar chord section to a 996 GTS RS top wing. 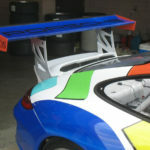 Introducing new for 2010. 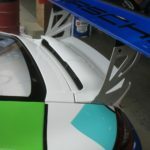 The decklid and wing assembly incorporates a much longer wing than on previous cup cars and a special decklid with a one piece raised intake duct and new milled aluminum risers. 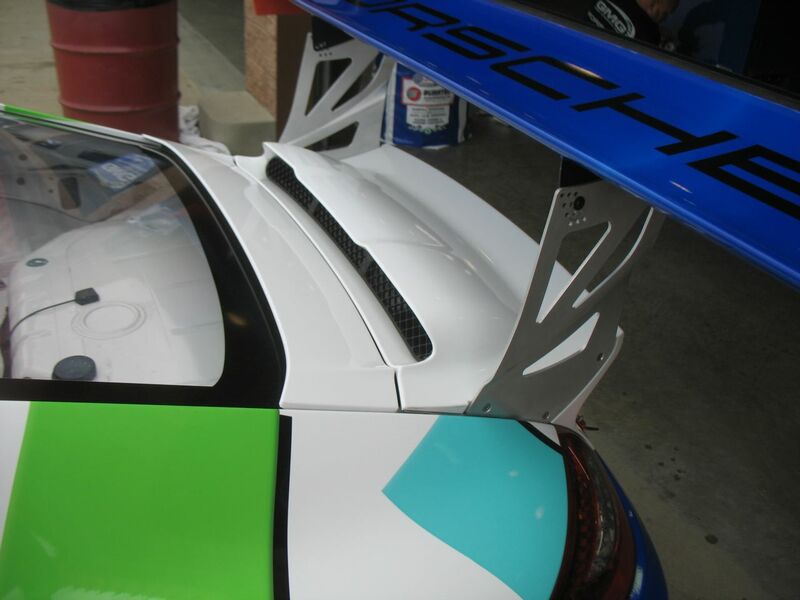 Also includes the new middle decklid. 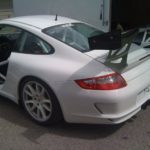 Specify model 997, Carrera Spec 1, Carrera Spec 2, GT3, Turbo. 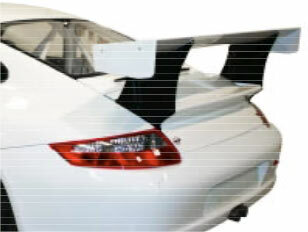 The middle decklid is a new shape that works with the top scoop and is installed with the cup decklid as a set. 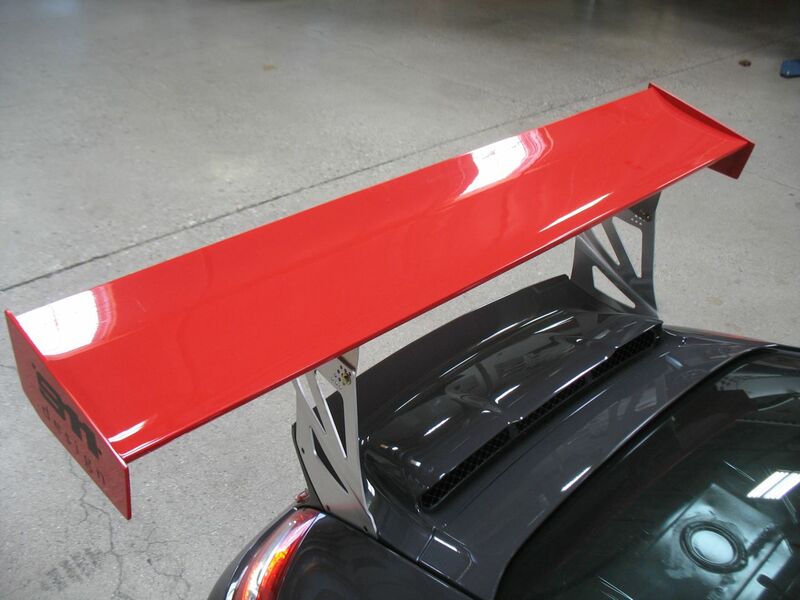 New 2010 67” top wing. 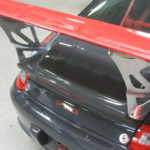 This is a special construction lightweight carbon fiber top wing. 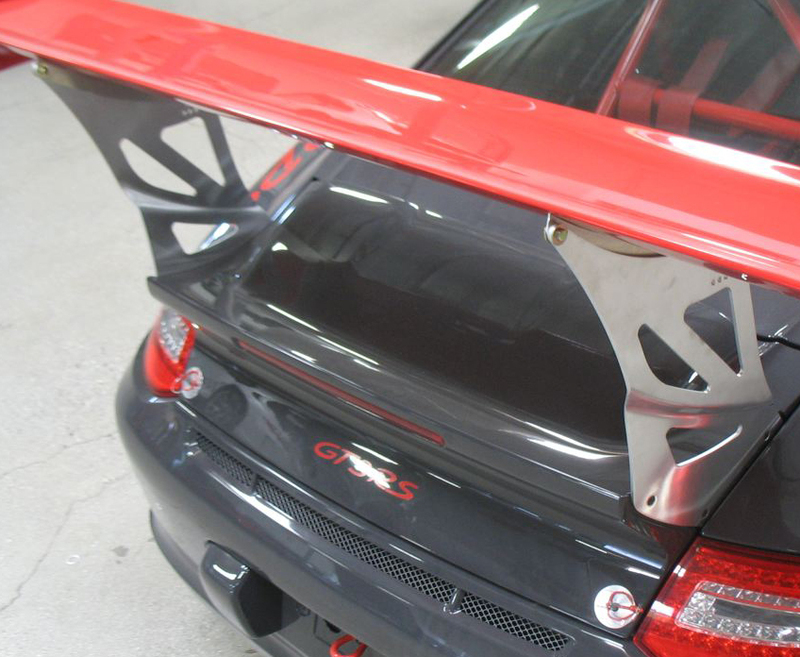 Includes wing endplates. 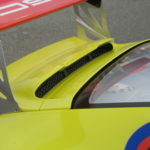 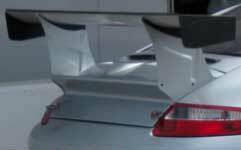 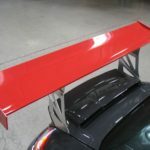 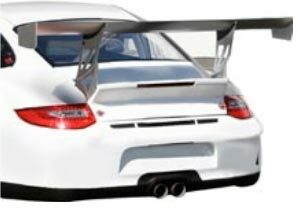 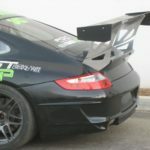 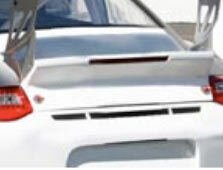 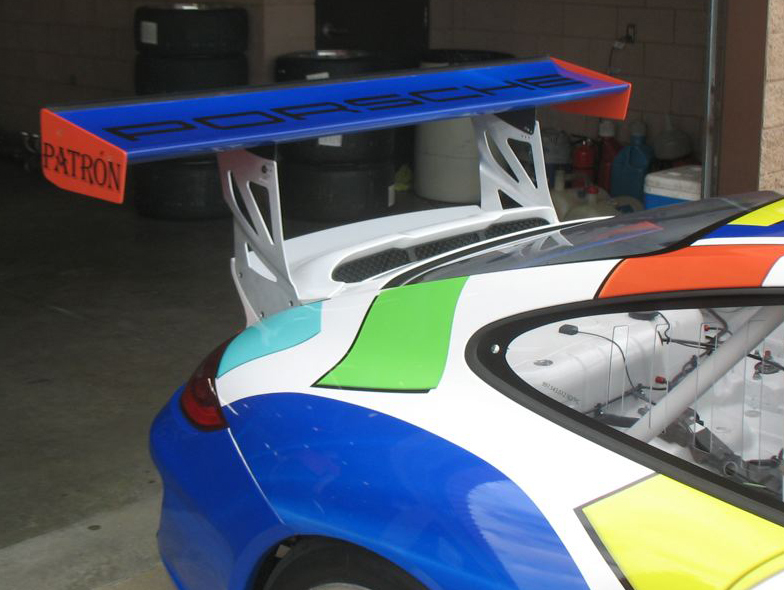 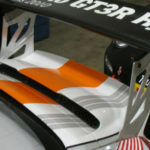 New Anhedral style RSR 65” top wing for 2010 Cup decklid. 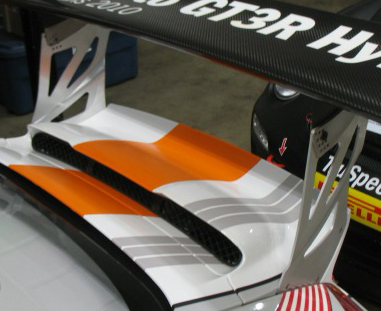 Lightweight carbon fiber.